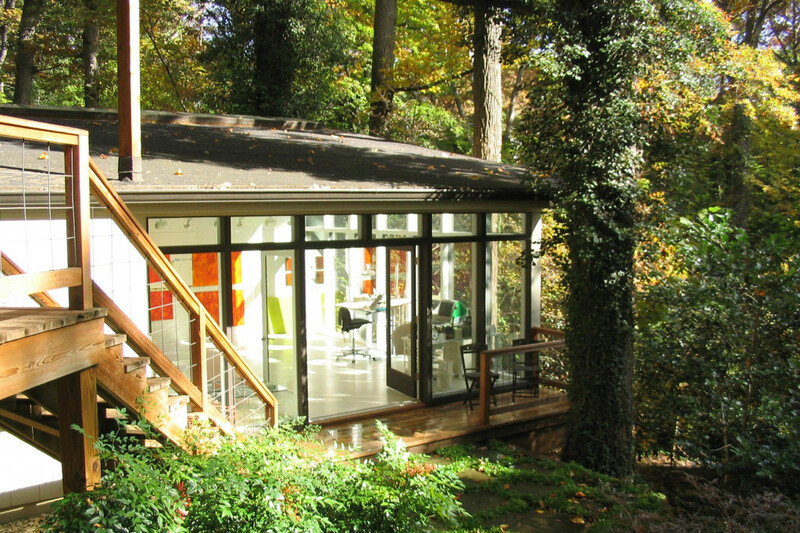 The breathtaking views from this forested, urban oasis were matched only by the challenge posed by integrating a 1,100 square foot art studio addition into a steep site, amongst mature trees, boulders and deck posts. 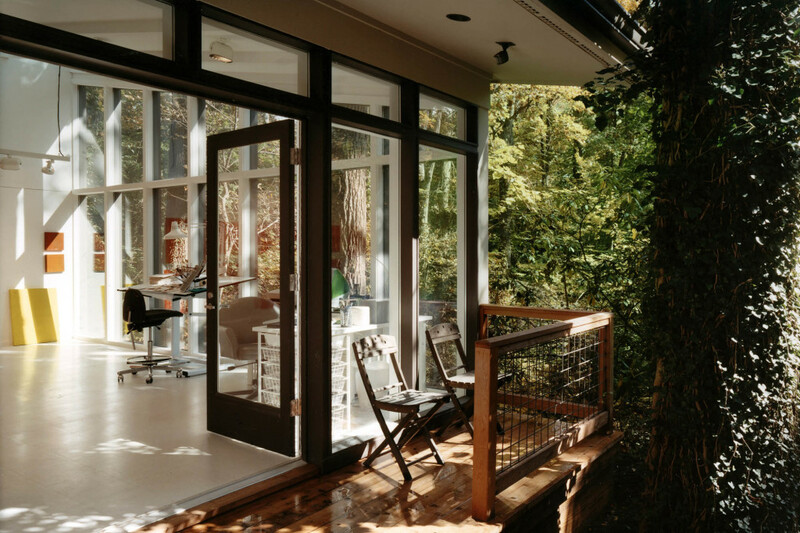 Though connected to the main house, two walls of glass immerse the studio in the natural beauty and serenity of it’s wooded context. 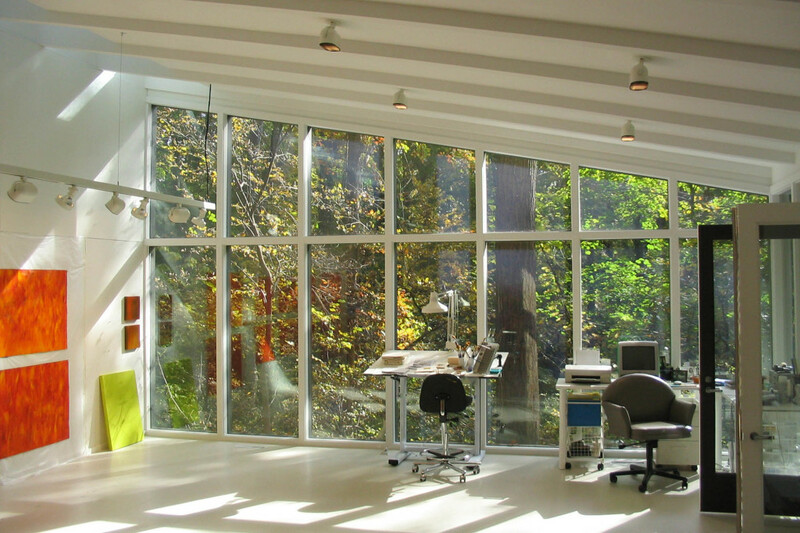 A bank of nine skylights washes the painting wall with natural light.